This is more than a bit unsettling. 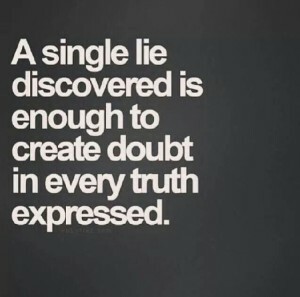 In the case of education policy, the liars should be doubted. 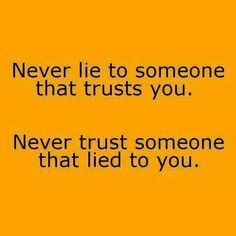 When we toss together liars, lemmings, and a lackadaisical public, we have a recipe for political corruption…..How corrupt? Disgustingly so if you think parents should have a say in their own children’s education! To begin with, don’t be fooled into thinking either the House or Senate were slaving away over writing this bill. They have had 15 years to think over the mistakes of No Child Left Behind and were overdue for reauthorizing it by EIGHT years. During that time, the real rulers have not been idle…..It was always the plan to put common standards into federal law and call them national. Is there anything wrong with a common core of standards? 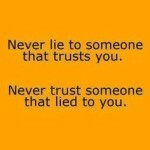 … Maybe not, IF it is the People in control of OUR government and OUR schools. By 2010…..2010.….it looked like Bill Gates was writing the Obama plan. 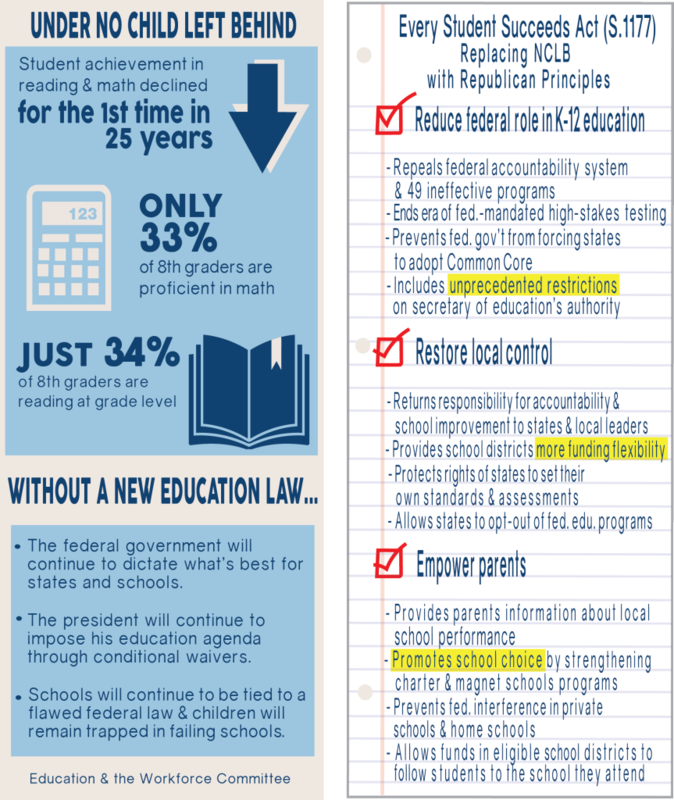 And in 2013 in the Senate, the Every Child Ready for College or Career Act emerged to replace No Child Left Behind. 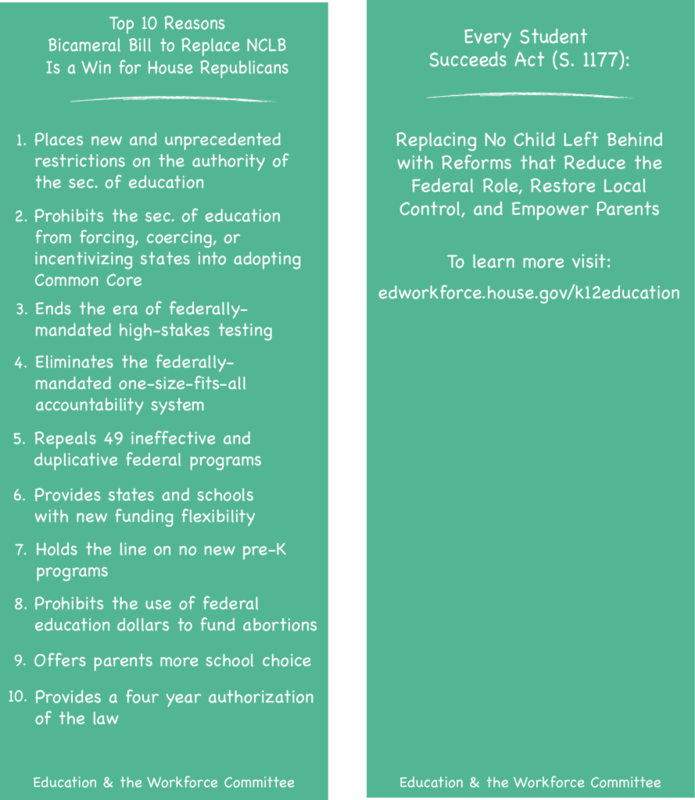 It stalled and by 2015 the bill’s new name was the Every Child Achieves Act. 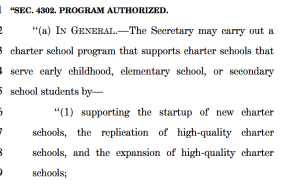 Meanwhile in the House, they settled on the name the Student Success Act in time for this 2015 reauthorization. Names, titles, and words changed; the basics of the law? After waiting seven years, what’s the rush? 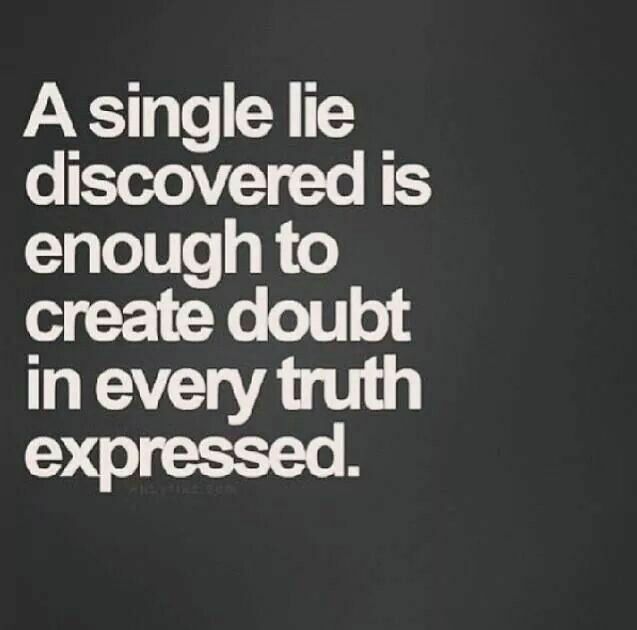 Think about this — there were SEVEN years in which those pushing the agenda upon which the Every Student Succeeds Act is based could have taken the time to explain, discuss, and get real, honest public input from US who lived through dealing with the unintended consequences of No Child Left Behind. Instead, the equally corrupted D.C. non-governmental organizations claiming to speak for us were the ones that OUR representatives listened to. Instead, the way this predictably played out is that “suddenly” on Monday November 30th — when mothers everywhere in America were busy with holidays — the conference committee released the final version of the long-awaited replacement for No Child Left Behind (NCLB) which they made 1,061 pages long……longer than NCLB! They didn’t fix that part of the problem with the law! That was Monday. And their propaganda was ready and up…on the House website! Paid for by us? DID YOU KNOW THAT “PROFICIENT” ON NAEP TESTS EQUATES TO AN A OR A-?….Decline is never good but CRISIS? I put this whole thing up because I thought number 8 was pretty amusing in a sick sort of way…..?…..But number 7 is the lie told to House Republicans with number 1 being a stretch. 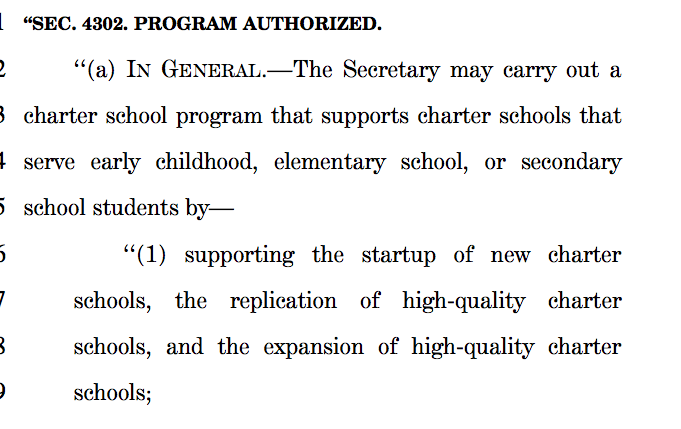 Pre-school charter start-ups aren’t considered a new federal pre-K program? And the Secretary decides? Lied to, propaganda paid for by us, and they slip this through when parents are most busy with their families. People? We have seen our representatives act like lemmings; please don’t tell me they truly do represent us. This go-around with education policy, it just happened to be the Republican led House jumping over the cliff. Next up, a vote in the Senate. 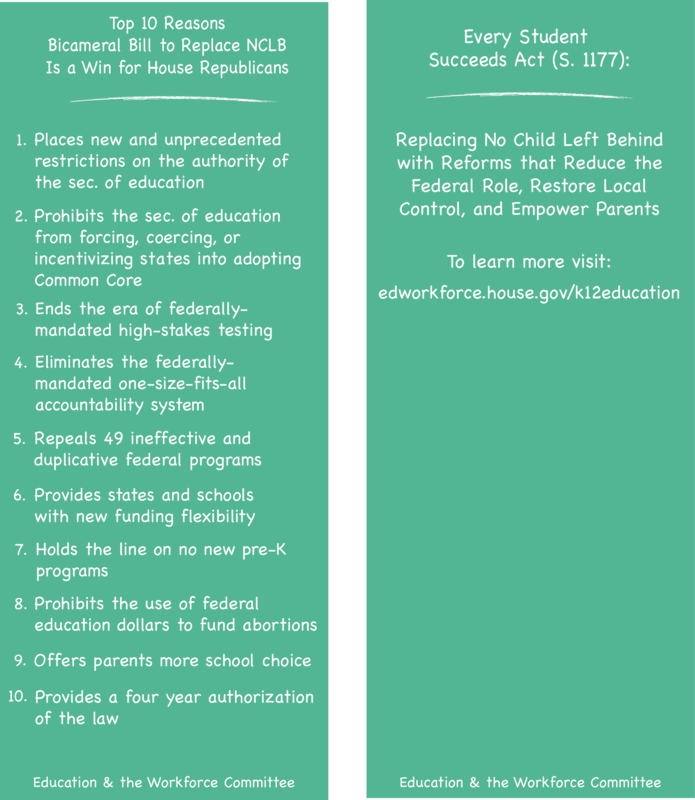 Do we let our representative go ahead, follow the crowd, trust the “information” put out by the main stream media telling them that this law will be better than NCLB? 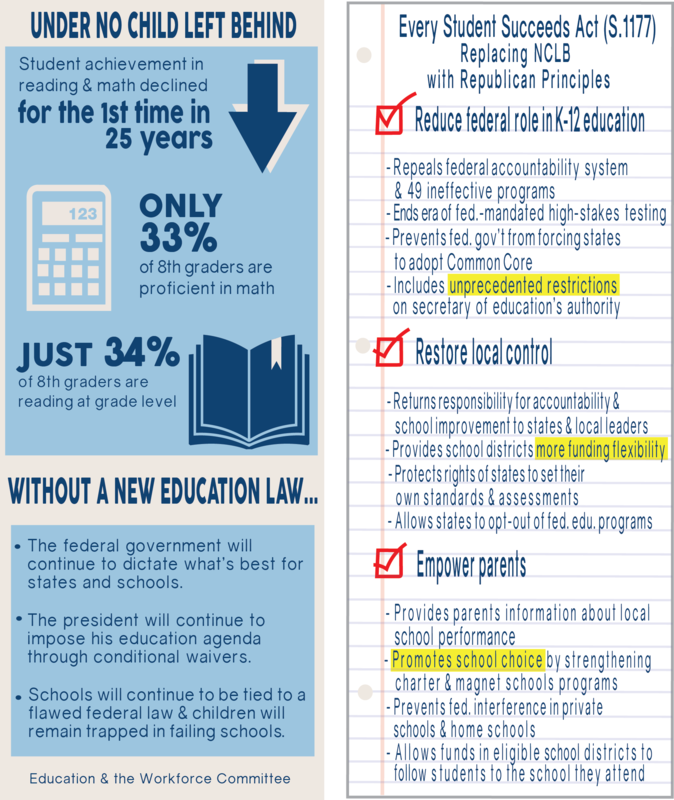 With education policy, both major political parties have taken turns making laws that they haven’t read, don’t understand, and for which they are NEVER held accountable for results, or lack of them. Please, make the call, speak up, stop the lemmings from taking us over the cliff with them. Repeal ESSA and start the process over again. Learn more about what you can do, now! This entry was posted in American Education Wars, Education Policy, Education Reform, My Advice, Politics and tagged Common Core, congress, Ever Child College and Career Ready, Every Student Succeeds Act, No Child Left Behind, President Obama, The Every Child Achieves Act by Victoria M. Young. Bookmark the permalink.